The Maisonneuve-Rosemont Hospital is at the forefront of cellular therapy research, in Canada. Stem cells are the basis of a new type of medicine that involves using the unique properties of these cells to repair tissues or organs damaged by a disease or an injury. This is called cell therapy or regenerative medicine. Cell therapy has been paving the way for decades already, for the development of effective treatments against a multitude of diseases, from cancer to autoimmune diseases. This approach is hopeful for thousands of Canadians, but in order for research to move forward, it is in dire need of funds. 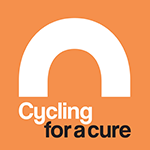 This is why the Cycling for Cure event is counting on your involvement and support. What can Cell Therapy potentially cure?